Twelve page pullout. Was Jesus a real person? 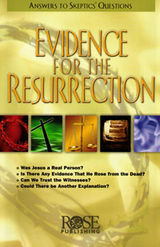 Is there any evidence that He rose from the dead? Can we trust the witnesses? Could there be another explanation?